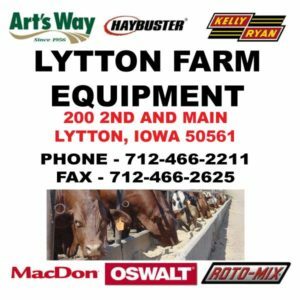 Lytton Farm Equipment | Your source for feed equipment, bale handling, parts, service, and repair. Your source for feed equipment, bale handling, parts, service, and repair. Lytton Farm Equipment takes pride in being your "one stop" supplier of Truck Mounted, Trailer Mounted and Stationary Feed Mixers. We also feature bale handling equipment, part sales, and repair facilities for all of your needs. We invite you to browse our current equipment inventory, or look at some of our featured products. For pricing information or questions, please call us today at 712-466-2211!